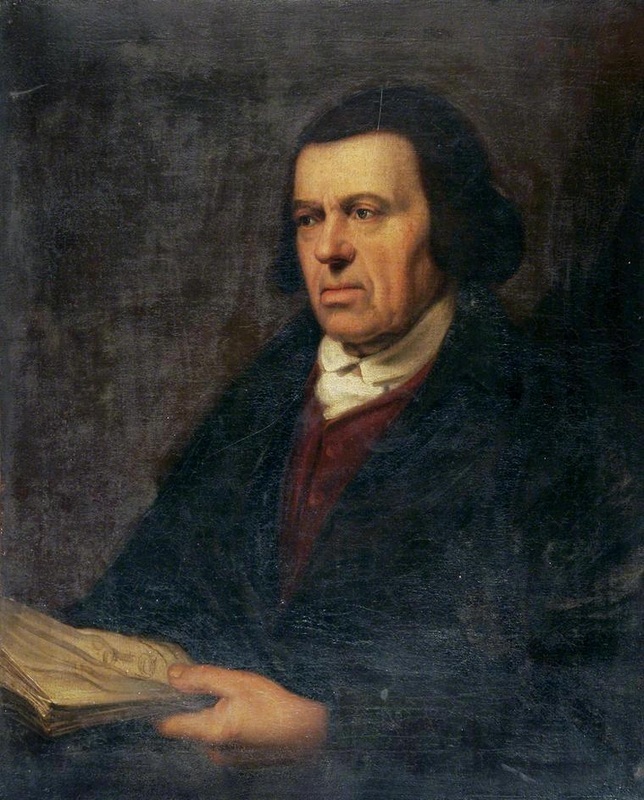 Joseph's uncle, also Joseph Clover, was an artist of the Norwich School of Painters. 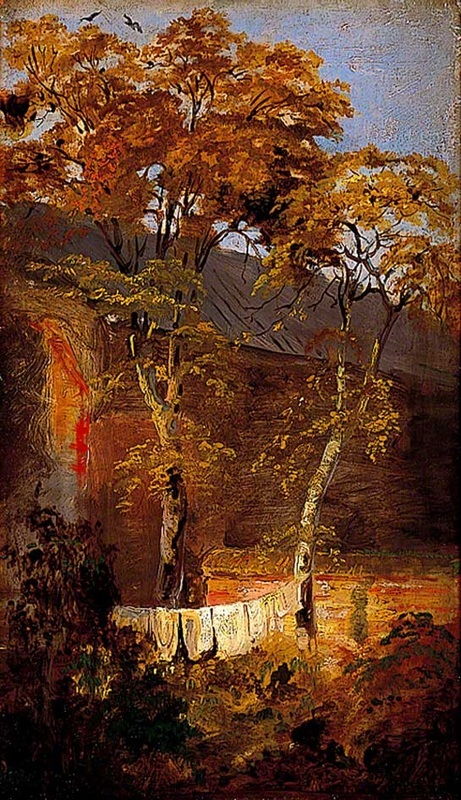 He was predominantly a landscape and portrait painter and many of his paintings can be viewed here. 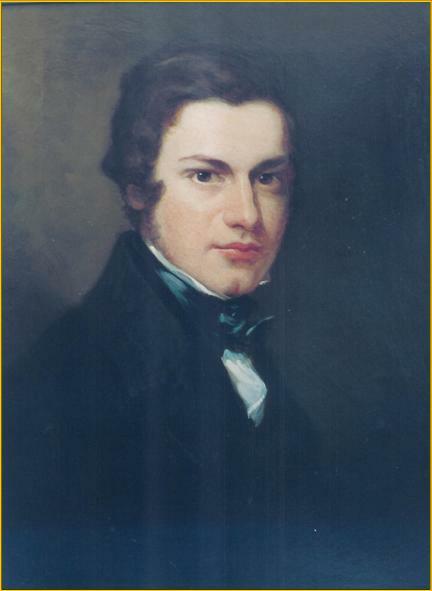 Although he had strong links to Norfolk, he preferred to live in London and was very close to his nephew from the time that Joseph arrived in London to study medicine. Clover's diaries record regular visits to his uncle, and frequent loans of £5.00 There is no record of these loans being repaid, although they may have been money provided via his uncle from his family in Aylsham. Uncle Joseph was a favourite with many of the next generation of the Clover family and there are many surviving letters to him from his nieces and nephews. 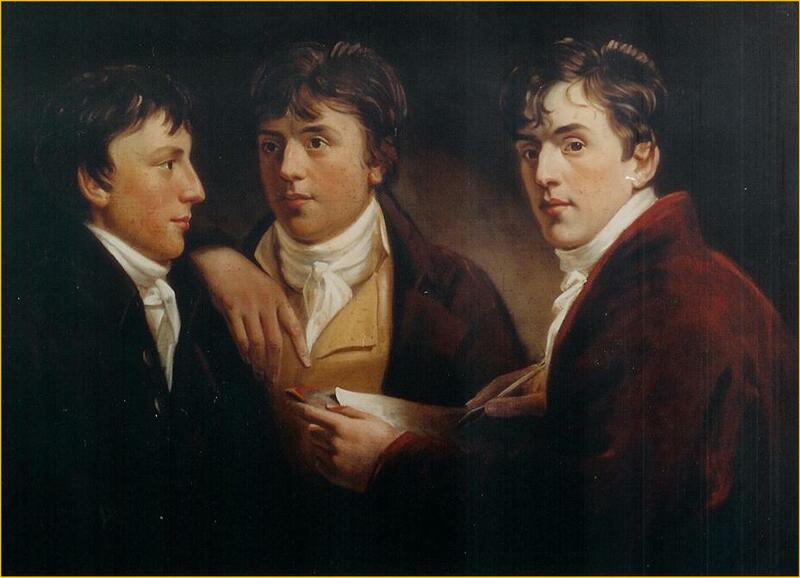 Amongst his many paintings are several of the family, notably a portrait of Joseph T Clover, now in the Royal College of Surgeons in London, a self portrait which includes his two brothers, John Wright and Thomas, and a portrait of his brother Thomas' wedding. Joseph never married. 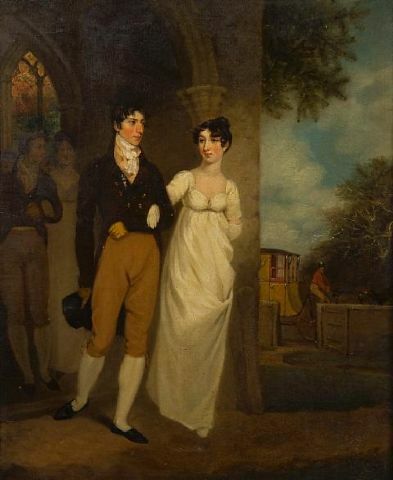 He was engaged to Ann Berry, daughter of Mary Berry of Aylsham, but after Ann's death at the early age of 20, he remained a bachelor for the remainder of his life. When he died in 1853, he named his nephew Joseph as the executor of his will, leaving bequests to all his nieces and nephews. "Uncle Joseph sent me a present of some fruit. E. Palmer took tea with me to examine ourselves about our knowledge of the Thorax wh: we dissected together. 6. Received a hamper from Mr. Gibson Surgeon Norwich containing sausages - & Rolls. Apples and apple Rolls. Mince Pies. Seed & Plum cake & Rice pudding. 8. Went to tea with Uncle Joseph. Mr. Ketelle from Newcastle was there he was just returned from Germany. 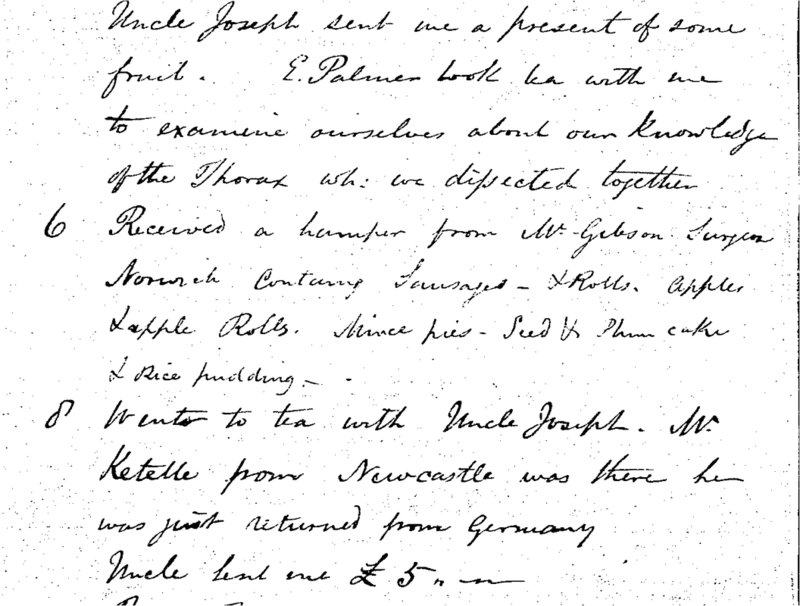 An extract from Joseph Clover's diary with reference to his Uncle Joseph. . Clover/Snow collection. IIIC Journals and Notebooks. Woodward Biomedical Library. University of British Columbia. Vancouver.